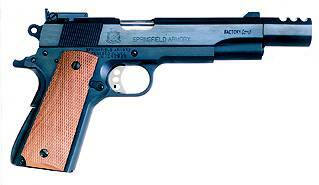 The Springfield Factory Comp was a high-quality competition 1911-style pistol manufactured by the Springfield Armory company. Springfield Armory leases the rights to the name “Springfield Armory” from the actual Springfield Armory national historic site in Springfield, MA. This guns was designed for competition use. This specific model is no longer produced, but others are.